The Canadian School of Warsaw offers a Primary Year Programme, which is part of the IB – International Baccalaureate. We see teaching and learning as a journey, where students are active participants who grow and develop both, academically and socially. 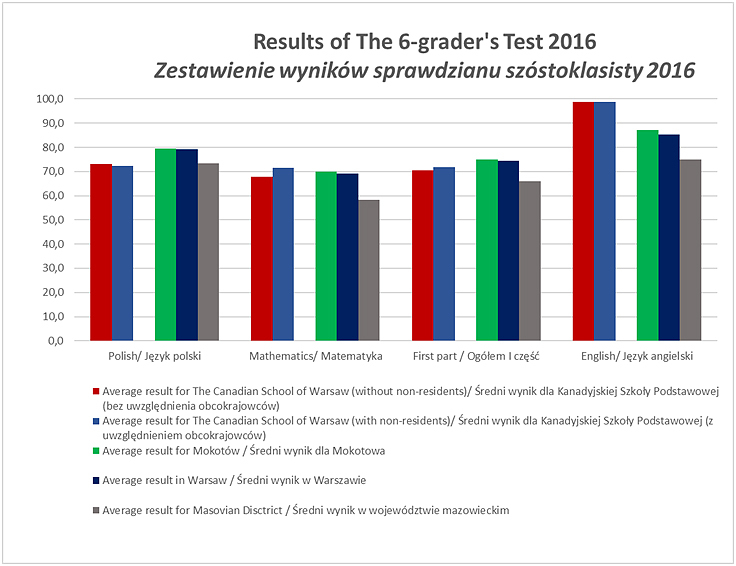 The Canadian School of Warsaw has become an authorized IB school as of 6th of January 2014, and continues offering the highest standards of education. Our curriculum is a rigorous inquiry-based programme that empowers students to take actions and become life-long learners in order to make the world a better and more peaceful place. Moreover, students are engaged actively in their learning process. Through the programme they become internationally-minded inquirers and thinkers, who ask questions and seek their own answers from both local and global perspectives. By nurturing students’ natural curiosity, we foster a love for learning. The Canadian School of Warsaw is also registered with the Polish Board of Education. In their further education, we are preparing our students for the PET (Preliminary English Test), the FCE (First Certificate in English) and the CAE (Certificate in Advanced English). Our students always achieve great academic results, and they are well prepared for the challenges that await them in the future. On January 6th, 2014 we officially became an authorized IB school! 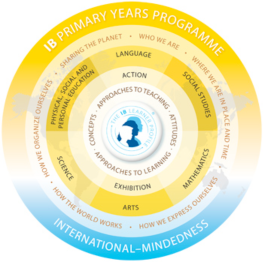 The decision to adopt the IB’s Primary Years Programme at our school, stems from a recognition that it encompasses many of the principles we have long held dear and sought to encourage: a positive attitude to learning and the acquisition of new skills, while developing children’s abilities to ask questions and seek satisfying answers. Likewise, both the IB and our school seeks to promote the values of mutual respect, tolerance and understanding toward individuals, groups and cultures in all communities. These themes constitute the framework for disciplinary and transdisciplinary teaching and learning for children aged 3-10, while creating a base for acquiring concepts, skills, attitudes and creative action for the benefit of oneself and others. To ensure that our students get the most from their education, we strive to provide a learning environment which allows for comprehensive, harmonious growth, both academically as well as socially. The school’s speech therapist is available for students on daily bases. Following an evaluation made at the beginning of the school year – or upon joining our school at a later date – children can receive individual therapy sessions if recommended A school psychologist, working in conjunction with our school counselor, is also made readily available to students who require additional support Language support – in English, Polish and French – is offered, as is support of a student’s native language (detailed information regarding language support at our school is outlined in the document: Canadian School Language Policy, which can be found here. Even though different, both language acquisition and learning are the core of shaping one’s world and individual identity. The Canadian School of Warsaw believes that language is at the center of learning. It is a basic tool of communication which crosses the boundaries of traditional disciplines and provides access to literature. These three aspects, operating together in a relevant context, provide the most supportive learning environment for language learners. Hence, we focus on acquiring language skills in meaningful language contexts and variety of purposes, especially taking into account the fact that our student body is a colourful mixture of young people from the international community, with various language backgrounds. Our goal is to create a community of avid learners, confident in at least two languages (English, Polish or French) other than their mother tongue.